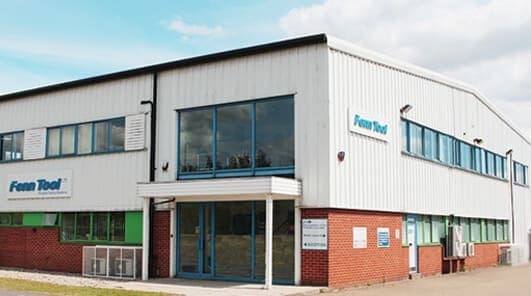 Founded by owner Peter Fenn in 1982 in Braintree, Essex, Fenn Tool has continually developed into what is now one of the largest independent cutting tool distributors in the UK. Since our launch, the company has continually grown in size and reputation for quality of products and technical ability. Already well known as sole UK agents for many top European cutting tool manufacturers, we began production of our own solid carbide end mill range ‘Fetoga’ in 2000. Our solid relationships with our suppliers, coupled with our own manufacturing facility, has further strengthened our reputation within the market in recent years and driven us to the very forefront of the UK’s leading cutting tool suppliers. In an industry that demands accuracy, repeatability and efficiency, Fenn will deliver quality tooling and engineering solutions time and time again to enable you to produce your components faster. As a leading manufacturer of solid carbide end mills, we are able to offer an innovative and diverse product range to suit almost any application. The skill and dedication of our manufacturing team is proven with the successful ‘Fetoga’ carbide milling range. As an ISO 9001 certified company, we dedicate ourselves towards continuous development and quality management. We believe this is testament to our passion and commitment to manufacturing and ultimately our customers. Unlike other distributors, Fenn supply as sole UK agents for many of our carefully selected, unique European brands to ensure our customers receive the very best performance from tooling and systems alike, while also having access to many other leading manufactures. Our solid relationships with our key suppliers allows us to highlight the very best in manufacturing across our product ranges, with only the highest quality of products making it into our portfolio. At Fenn we pride ourselves on quality and performance and deliver where it matters the most. Our ever expanding product portfolio and technical support allows us to meet the demands of all industries within the market and supply complete tooling solutions for customer projects, from conception through to completion. AT FENN WE ARE COMMITTED TO 4 KEY VALUES TO SUPPORT OUR VISION TO PROVIDE UNRIVALLED CUSTOMER SERVICE, PRODUCT PERFORMANCE AND TECHNICAL SUPPORT TO OUR CUSTOMERS. We have one of the largest teams of sales engineers in our field, providing full coverage of the UK and Ireland and are continually expanding to meet the growth in demand. Our sales engineers are backed up by an extensive team of office based support staff who have many years experience in supply, support and service to the most demanding of manufacturing facilities. This enables Fenn Tool to achieve our goal of being a ‘Complete Tooling Solutions’ provider and being a supplier that customers can rely on. Get in touch by calling +44 (0) 1376 347 566 or email sales@fenntool.com.